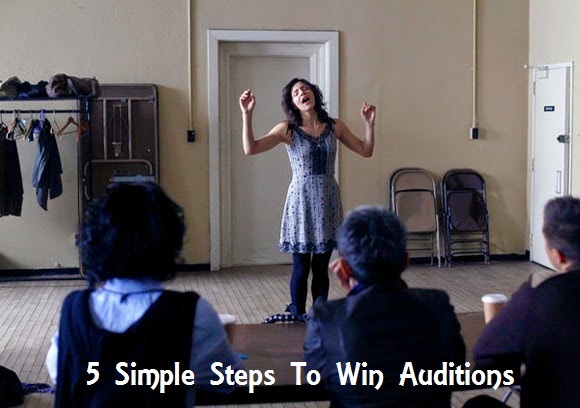 """ keywords'/> "" " 5 Audition Success Steps To Let Your Audition Go With Bang | Best Actor Academy-The Monster Of Free Acting Tips ""
You’ll be asked to perform a piece from the script – so make sure you know it and remember if possible, word by word. In a regular audition, you’ll get a minus mark if you’re less than word perfect. So I expect the same from you here, at the start of your career. Think long and hard, and decide what’s really going on in your character’s world (The one you are going to portray). What’s that about the character not mentioned in the script? Don’t just speak your lines like hundreds of others. Don't be uncertain. Decide. If there is a scene, may be your co-actor in the audition room, think how would your character move, do things and fill the space? For example, would the character pick things up? Play with objects? Use the doors and windows? Fiddle with light switches? Involve the furniture? The casting people are looking at your attitude just as much as your talent. So even if there’s valid reason, a train or bus strike and the city grinds to a halt, they want to see you there on time. That shows how you are committed. And your audition should go with BANG!